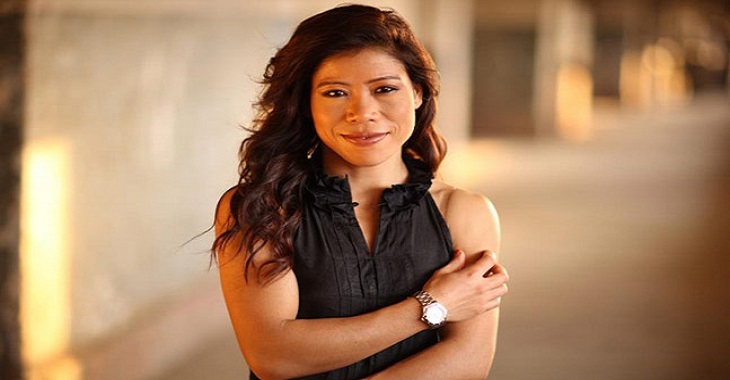 Mary Kom is a five-time World Amateur Boxing champion and the only woman boxer to have won a medal in each one of the six world championships. The only Indian woman boxer who has been qualified for the 2012 Summer Olympics, competing in the flyweight (51 kg) category is Mary Kom. Rightly nicknamed as ‘Magnificent Mary,’ she has won several gold, silver and bronze medals in various world boxing competitions. She mothers three children, supports animal rights and is associated with PETA India, to put an end to cruelty with animals. One more accolade was added to her list when she became one of the eight ambassadors of the upcoming World Championship by AIBA – The International Boxing Association. The ambassadors include Nicola Adams of Great Britain, Team USA’s light flyweight Marlen Esparza, Adriana Arauja from host country of this year’s Olympic Games Brazil, Bulgaria’s Stanimira Petrova and Morocco’s Khadija Mardi. It’s a great honour for me as an Indian. This title means that I will be representing international boxing and this is an honour which is not given to everybody. This 33-year old bronze medalist of the 2012 London Olympics is training for her victory at the world event trails to be held in New Delhi on April 18 and 19. She wishes to be a part of second successive Olympic through the world event which is scheduled in Astana, Kazakhstan from May 19 to 27. There is always pressure but I know how to handle it because this is what I have been doing for the last many years. Whether I qualify or not, what matters is that I am giving it my best shot. Many of her awards include Padma Bhushan, Padma Shree, Arjuna Award and Rajiv Gandhi Khel Ratna Award. She is the first amateur athlete to have won the respectable Padma Bhushan Award. Hats off to her dedication, to her persistence and her spirit.